One of Montreal’s leading lawyers and a longtime supporter of McGill University, Stuart H. (Kip) Cobbett has been appointed to a five-year term as Chair of the University’s Board of Governors, effective Jan. 1, 2010. Mr. Cobbett succeeds outgoing Chair Robert Rabinovitch. A former managing partner and chief operating officer with the Canadian law firm Stikeman Elliott LLP, Mr. Cobbett is a McGill graduate (BA 1969, BCL 1972) and has a long-standing relationship with the University. 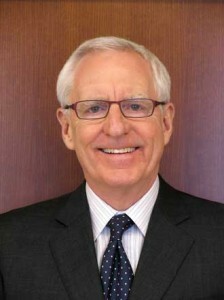 He has been an active member of the McGill Alumni Association for many years, and served as its president in 2002-2003. Mr. Cobbett’s diverse and dynamic contributions to the University include: Chair of the Advisory Board of the McGill News (1992-95); Chair of the Board of Visitors, Faculty of Arts (1994-96); member, Audit Committee of the Board of Governors, and lecturer in the Faculty of Law (1976-1985). He is a governor of the Quebec Bar Foundation and serves on several boards of directors. Mr. Cobbett will serve on a number of Board committees, including its Executive Committee, Human Resources Committee, Building and Property Committee and Nominating and Governance Committee. The Board of Governors is the University’s highest governing body. It is composed of 25 voting members, including members at large, student and faculty representatives and two observers. It generally meets six times per year.